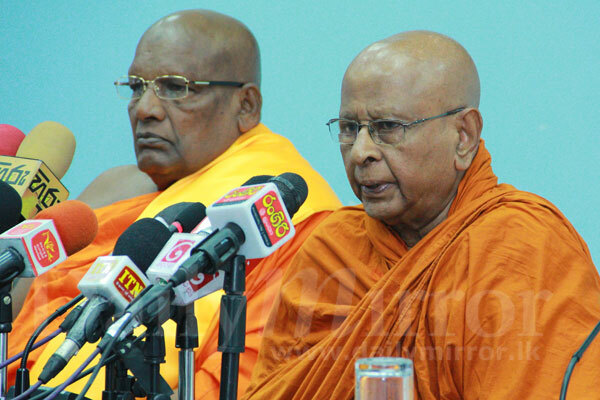 A group of leading Buddhist Monks today called for the ban of school big matches saying that the matches acted like a platform for promotion of alcohol among students leading deterioration of social values. Addressing a news conference held at the Government Information Department, Ven. 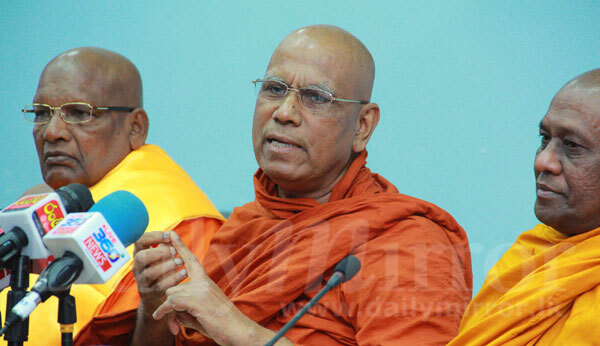 Omalpe Sobitha Thera, the Founder of the Sri Bodhiraja Foundation, said that the big matches should be banned in the name of morality. Shows the narrow minded and ill logic of these prelates. Could you please BAN the Bodubala senawa. Preach what you practice. his should have been done 10 years back. Big Matches is the main culprit for student uncontrol, except for Tution classes. Students cant be controlled by by both Principals, teachers and patents due to Big Matches are "Well accepted". What does these serve ? Many boys start during during Big matches.. Are the BIG MATCHES secretly sponsored by Alcohol Companies and Cigarette Companies ?? Ban pageants where elephants are paraded in fancy dress. This the root of animal cruelty in the name of culture. Ban A Vs N.They are the thugs who fought last week!!!!!!!!!!!!!!! If so, with the increase of accidents on the road can we ban all motorized vehicles and go back to bullock carts? If the issue is alcohol consumption in big matches, then alcohol needs banned in the grounds of school matches and if a child (minor) is found intoxicated, then the Police can inform the school and parents and take action through Child Protection Act. These existing laws need strengthening without stating poor quality ideas such as banning big matches. Sigiriya my advise to you is to jump into the nearest well. Good riddence. Banning big matches is not the way to go. The match celebration should be limited to the grounds and not in other public places. The Hon. Priest is correct in saying that big matches have become a public nuisance. It is not necessary to have motor cycle/car parades on the streets. Banning sports is not the answer for deteriorating moral values of the society. Clergy in all religions have failed in thier part too. If school children are consuming alcohol during big matches, have random checks and punish the culprits. We are all aware that some boys misbehave. But majority in majority of the schools are not. Why punish them? We have to be practical and fair in our recommendations and decisions. 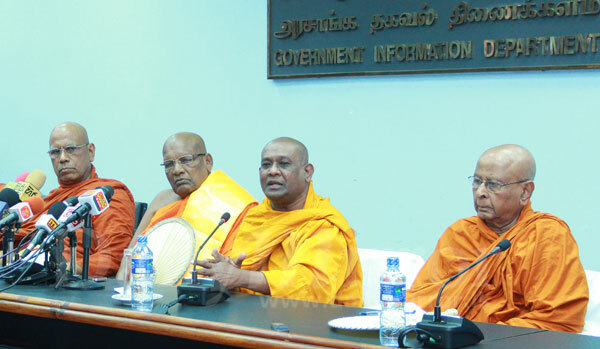 Hope the priests read these comments and realise that they better stick to preaching the religion of lord Buddha . AND not resort to such :pronouncements. 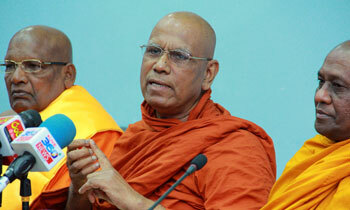 School boys are more wiser than these so-called monks who commits sins behind the curtain. In a way, we should obey the teachers (monks) but at the same time, they should not make mistakes and it will be a triumph card for the youngsters. Stop all bars and liquor shops islandwide, before banning big matches! Dont we have other alcoholic/casino/drug related issues placing families in dilemma in the country? What about day light murders? Lets be proud as Sri Lankans that if i am not mistaken-the oldest cricket match in the world is the Royal Thomian also uninterrupted for 138 years including during the world wars. So is this monk trying stop that? and other big matches in general? How many big matches have produced quality cricketers from Ananda/Nalanda? I cannot count cos there are many! !Oh the protests? Are they going to take the streets? ?These robe men are just losing it. Very true,celebrations should be restricted to the grounds. Don't ban the matches but ban alcohol. They only check at the entrance but once smuggled in anybody can drink freely. The police must check inside through out the game and check drivers for drunk driving after the game. Let us think straight - a few road shows is fun and does not block roads. It is those political and other protets that block the streets and choke traffic that should be banned. Kids need fun and some outlet for their exuberance during ages 14-17 - otherwise they find more dangerous outlets..
Guys , Please don't shoot me for telling this.Can't the priests/monks stick to the religion not get into Politics. There is some sense in what these 'Prelates' are saying! Absolutely, we are not interested in addressing the root cause or fighting the wrong doing. Just looking at quick fixes to problems. BAN THE REVELRY, CYCLE PARADES ETS NOT THE MATCHES. Ban all Mercedes Benz cars as they are so big a contribute to motor vehicle accidents. Then these people can start walking and loose some weight in the process too.